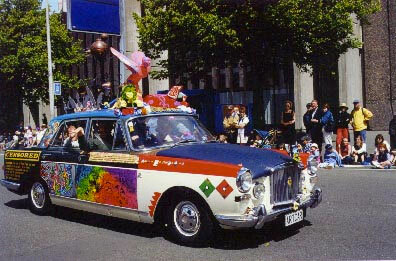 The Millennium Art Car the brainchild of Henry Sunderland was created in the front gallery of the Canterbury Centre of Contemporary Art and presented to Christchurch's then mayor, Garry Moore, in 2000. Henry Suderland invited several prominent New Zealand artists, including interior designer George Chimirri to contribute to this art installation. 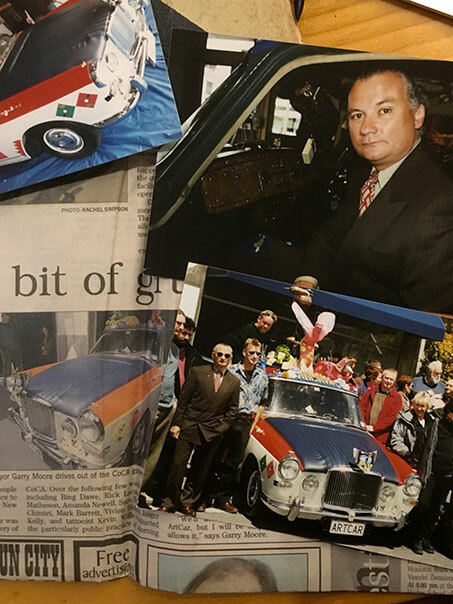 Work began on the 1965 Vanden Plas Austin Princess R on 1st November 2000. George Chimirri with his Italian heritage & flair, embarked on transforming the conservative polished timber dashboard into a Versace studded dashboard by carefully drilling into it and then painstakingly gluing 39 authentic Versace clothing buttons, thus creating a very BLING and stylish creation, which is still admired till today.